When you travel somewhere for an extended stay, you generally have several options as to lodging. The two most common options? You can book a room in a hotel (even an extended stay hotel); or you can stay in a furnished apartment through a corporate housing agency. Among these options, not only is corporate housing usually less expensive than the others — it’s also a safer choice. Let’s explore the other options and see why corporate housing may be safer than a hotel. Entry to your room: Virtually all hotel staff have access to enter your room — and not all of them are honest. Sanitation: Cleaning staff sometimes cut corners in sanitation practices, and bedding in particular doesn’t always get as clean as it should. Predators: Even with secured entries, as a public facility, a hotel often attracts predatory people who wait in the wings to steal or to cause harm. The apartments are private. A corporate housing agency leases and furnishes actual apartments in real residential complexes, often with secure entrances — much like living in your own home or apartment. Limited access. The only people with access to your unit are you and the management company — the same as if you lived in apartment. Carefully vetted for location and amenities. 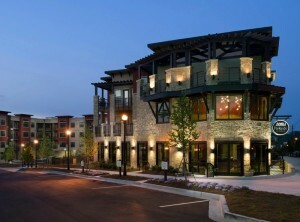 The agency only works with the best residential communities to provide optimal, safe housing. Whether your extended stay is personal or business-related, you deserve to stay in housing where you feel comfortable and safe. 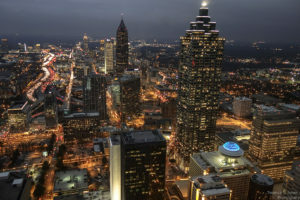 If your travels bring you to Atlanta or Jacksonville, give TP Corporate Lodging a call at 800.428.9997. For business and leisure travel of any length, many people are now turning to the Airbnb platform as an alternative to hotel websites and travel platforms like Expedia. 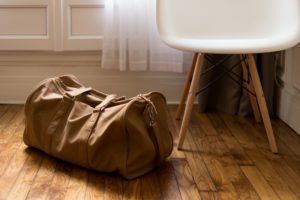 The idea of living temporarily in a fully furnished home or apartment versus a stale hotel room appeals to these travelers because they can have something like a home-away-from-home, usually for less money. A growing number of agencies are even starting to use the platform to place listings for high-quality business rentals. The challenge is that Airbnb hosts all sorts of accommodations, including many privately-owned facilities with little regulation or vetting. How does one separate the professionally managed properties from the informal arrangements with very little regulatory oversight? How do you secure reliable temporary housing while avoiding the more questionable listings? Let’s discuss how you can locate and identify a certified business rental through Airbnb. When you’re looking at places on Airbnb, don’t just look at the location and photos — they may not be accurate to the unit, anyway. Rather, look at the person or agency listing the property. How many reviews do they have? Are the reviews mostly positive? What negative feedback, if any, has been left? How accessible is the owner or property manager for questions or problems? You can often tell even by the language whether you’re dealing with an individual renting out their extra space, or a professional company that offers corporate-style housing. In an attempt to answer some of the complaints from people who have had negative experience with Airbnb listings, the platform has begun a new category called Airbnb Plus — a verified service in which the unit is professionally inspected before rental to ensure it meets top-tier standards. This new category may cost a bit more per night on average, but many travelers find it offers greater peace of mind. As Airbnb opens its platforms to more and more boutique hotels and lodging companies, you can expect to find many of their listings under the Plus Verified category. If you don’t care who rents the unit as long as it’s top-notch, the next best thing to do with Airbnb is to look for those listings rented by “Superhosts” — those whom the platform has identified as offering superior service and generating stellar ratings over an extended period of time. This category also provides a greater level of confidence among travelers that they are working with someone whom Airbnb recognizes and trusts more than most. 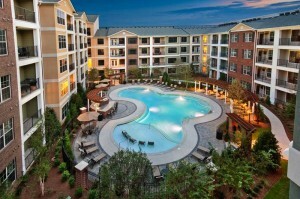 Whether you book through Airbnb or some other platform, if you’re traveling on business and need comfortable lodging for an extended stay in Atlanta or Jacksonville, TP Corporate offers a variety of fully-furnished luxury apartments with plenty of amenities and all the comforts of home — for remarkably affordable rates. To learn more, call us at 800.428.9997. When you travel on business, especially if you’re away from home for weeks at a time, you probably already know staying healthy can be a challenge. Not only can the disruption in your schedule cause you to cut corners on healthy practices, but at this time of year during a particularly dangerous flu season, you definitely want to keep your immune system at its best. Thankfully, you can boost your health by taking a few proactive steps. Here are five common-sense tips for staying healthy on an extended business trip. Yes, you may be under pressure to meet deadlines or to make your business trip as productive as possible, but if you get sick, all of that goes out the window. Sleep helps your body reset, restores energy and stamina, and boosts your immune system. Know when to call it a day, and maybe skip the karaoke bar with your colleagues and go to bed early when you’re tired. Eating healthy can be a challenge during business trips, but it can be done. Try to grab fruits and veggies for snacks instead of reaching for the candy bar. If you must eat on the go, skip the hot dog stand and find a to-go salad bar. Better yet, take 30 minutes for yourself and sit down for a healthy meal. You’ll have more energy and more stamina if you do. On a busy trip, who has time to work out? You do, if you make time for it. 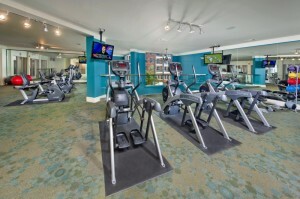 Avail yourself of your hotel’s fitness center, or ask your work place if they offer access to a gym close by. Even an occasional brisk walk to clear your head will help. When you travel to a new city, you likely have less resistance to the specific viruses that breed there. Since most illnesses are transmitted through touching, make a point of washing hands regularly, especially after touching public surfaces and before you eat. Many of the points listed above (especially eat, sleep and exercise) can be accomplished more easily if you set up a daily routine for yourself while on your extended trip. It may be challenging, and sometimes work demands may disrupt it; if so, just return to your routine whenever possible. It makes healthy habits easier to maintain. 6. Consider short-term corporate housing over hotel stays. Another tip that makes healthy habits easier is to stay in a furnished corporate apartment during your extended business trip, rather than a hotel. Not only is it usually a cheaper option, but it provides a home-away-from-home environment that enables you to set up healthy routines more easily. You can prepare healthy food in your fully equipped kitchen rather than heading to the restaurant, and many corporate apartments include gym access for exercise. Best of all, you have a private retreat where you can truly relax and get the rest you need. If your business travels bring you to Atlanta or Jacksonville, TP Corporate Lodging can put you in a fully furnished apartment with plenty of amenities and conveniences to make your extended stay as comfortable and restful as possible. To learn more, call us at 800.428.9997. When your company requires you to send employees to out-of-town locations for extended stays, you have numerous options available. You have the standard hotel stay, which can be convenient but quite costly (and not very comfortable for extended periods of time). You also have the option nowadays of utilizing platforms like Airbnb to provide more home-like environments — but due to quality control inconsistencies, these platforms require lots of research and a little luck to find the right place. However, when you work with a corporate housing company, a lot of these problems and risks are eliminated for you. Let’s look at 5 specific benefits your company can receive by using a certified corporate housing provider. One of the first and most important benefits of working with a corporate housing agency is consistency and quality in the housing itself. It’s the provider’s job to make sure all its units meet certain quality standards — not yours — and when you find a provider you trust, you can leave the details the agency’s hands knowing your employees will be comfortable. When you choose corporate housing, your team members stay in fully furnished apartments with full kitchen and all the basics of a home-away-from-home — not to mention possible amenities on-site they might not even get at home (such as fitness facilities, pool, recreation areas, etc.). This homelike environment makes it easier for your employees to get the rest they need, meaning they come to work fresh and more productive. Booking individual rooms in hotels or Airbnb for employees can quickly escalate into a full-time job, taking away quality productive time from other tasks. Working with a certified agency enables you to work with one central provider who handles the booking details for all your employees, freeing up valuable time. Corporate housing is consistently much cheaper than putting up your employees in a hotel, especially considering the employee gets to stay in a fully furnished apartment rather than a small room or suite. In most cases, temporary corporate housing for your employees counts as a business expense, which you can easily track and write off on taxes. One of the best reasons to work with a certified corporate housing provider is that once you’ve found one you trust, you can leave the details to them! You can rest easy knowing that your employees will have comfortable and convenient accommodations so that you can turn your attention to the work at hand. If you’re considering whether to choose corporate housing or Airbnb, we recommend giving us a try. To see what we have available in Atlanta or Jacksonville, call TP Corporate Lodging today at 800.428.9997. When you need to accommodate a unit of military personnel on a temporary basis (e.g., for training exercises), finding affordable yet comfortable short-term housing can be a challenge. Not only is there the issue of finding lodging that meets government rules, regulations and standards, but typical short-term solutions like hotels or Airbnb can be both inconsistent and expensive. In many cases, a better solution is to work with a short-term housing partner, like a corporate housing agency, who can provide fully furnished apartments to suit the needs of your personnel. Here are some tips for choosing such a partner. When partnering with a housing agency, it’s important to select one that operates in that local area. If you need to bring a group to Jacksonville for training, for example, you want a company that is local to Jacksonville. The reason for this is that finding appropriate housing is not just about the accommodations themselves; it’s also about location. A local agency will have a better working knowledge of neighborhoods convenient to local bases, as well as a thorough understanding of traffic patterns in the city, so personnel spend more time being productive and less time in transit. Since housing requirements for military personnel and other government employees are subject to a specific set of rules and regulations, you should look for a short-term housing company that is familiar with these requirements and can arrange enough accommodations to meet them. This step alone could save a lot of time and money that could otherwise be wasted. The more familiar an agency is with the workings of the military, the more efficiently they will work to meet your unit’s short-term housing needs. Arranging housing for a large group of people can be stressful enough as it is, and the last thing you need is to have to instruct the agency about your processes and procedures. A good military partner will already know the ropes so the process of procuring housing can occur seamlessly and stress-free. If you need to find temporary lodging for military personnel in Jacksonville or Atlanta, TP Corporate Lodging would love to be your short-term housing partner. We have a deep understanding of these local areas, and we are well versed in the ins and outs of military housing protocols. We can provide high-quality, fully furnished apartments that will help your people be more comfortable, and therefore more productive. For more information, call us at 800.428.9997.